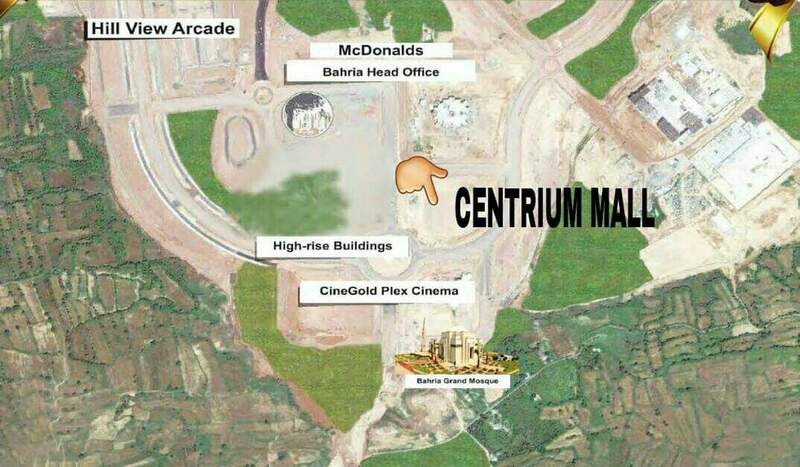 The Centrium Mall & Residency in Bahria Enclave Islamabad. stands tall amidst the valleys and peaks of Margalla & Murree Hills, Islamabad. Where nature knock your door every morning. 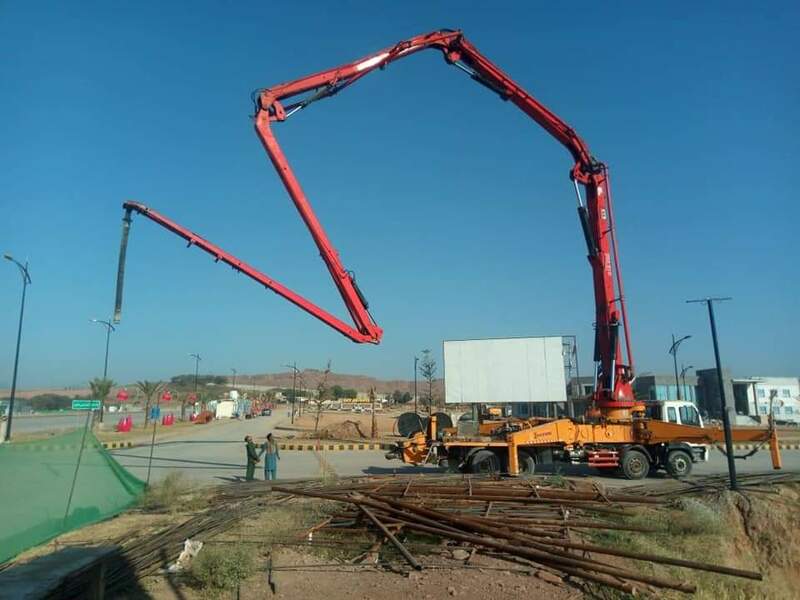 Well placed right at the Civic Zone of Bahria Enclave, Islamabad, The Centrium is a Jewel of Bahria Enclave. Spread over 43.58 Kanals with 3 Basement Parking, Ground Floor Shops, 1st to 9th floor stories Apartments; it’s a symbol of perfection and modern living. 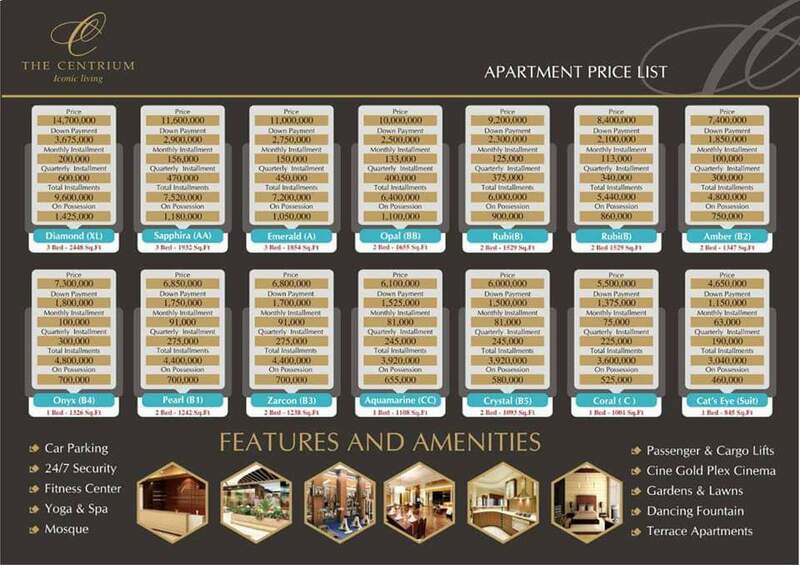 Consisting of 1, 2 & 3 Bed Ultra Luxury Apartments and a glowing Shopping Mall, the project offers state-of-the-art living standards with outstanding amenities and services. 24/7 Electronic surveillance (CCTV Monitoring). Separate Reception Lobbies for Visitors. Fire Fighting System (Wet & Dry) For Each Floor. Garbage Chutes on each floor. Air Conditioned Bedrooms & Lounge. Branded Washroom Utensils & Fixtures. 4 Year Quarterly Installment Plan. Each Installment with the Gap of 3 Months. 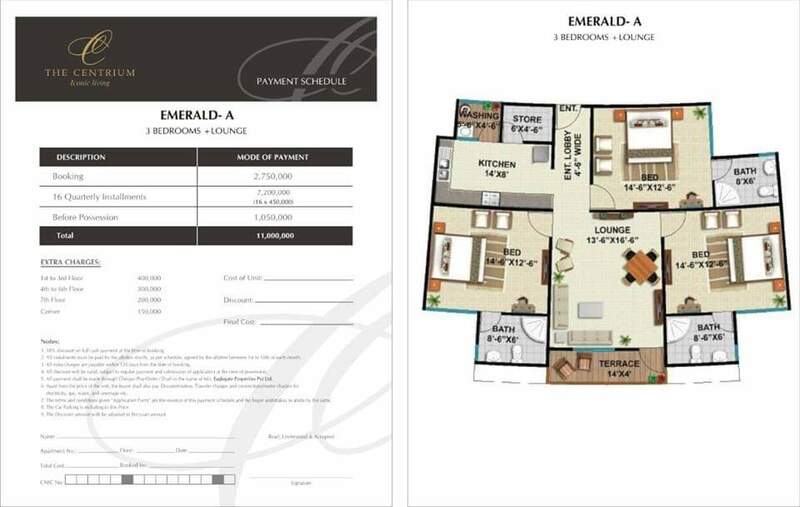 Apartment Starting price 39, 75000 to 1, 27, and 25000. Back side of Centrium Bahria Head Office. Front side of Centrium Cinegold Plex Cinema & Dancing Fountain. 250 square feet parking with Apartment. Murree + Margalla + Islamabad + Rawalpindi, Park face View. 2 Basement Parking Entrance Extra.